This piece was made with a completely distorted sample of my own voice. The composition process went rather quickly: I began by making a loop with just a small extract, then I transformed it in various ways and used each small sample as notes or musical ideas. I had only planned an overall idea of the structure: introduction, first “theme”, second “theme”, development and coda. But during the making of the piece, all of the parts sort of melded together, which seemed perfect to me, so I kept it like that. The title is just a nonsense idea about the atmosphere of the piece. Joâo Schnier was born in 1988 in Le Puy En Velay, France. 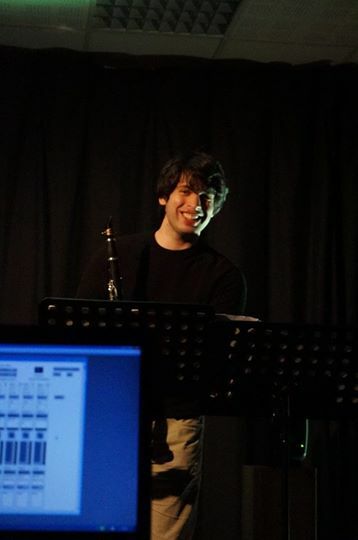 He began his musical studies at age nine at the Conservatoire de musique de Nîmes in south of France, where he took clarinet, improvisation and composition classes. He earned his clarinet ‘prix’ before moving to Paris to complete his degree at the Conservatoires de Versailles. Some of his compositions have been played at concerts organized by the conservatories in Versailles, Nîmes and Toulouse, notably an orchestral piece called “Nocturne” in 2009 at the hall “Carré D’Art” in Nîmes. 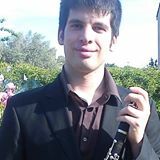 He currently lives in Toulouse earning his clarinet teaching certificate. I think I was about nine years old, and I was walking on a busy avenue in Nîmes with my parents. We were going home, it was late, perhaps 10 P.M., and we passed a carnival. All of the attractions were closed, but for some reason, there was a mirror house still playing music. It was Maurice Ravel’s “Bolero”. I was completely entranced by this music. It was the first time that every single second of a musical work was pleasant to listen to, and it was the first time that a piece of music gave me a clear impression of a story. I have never forgotten that feeling, especially when I discovered the two piano concertos shortly after, which remain my favorite pieces of music. This experience settled the basis of my approach to music: sound, dramatic construction and time structure as the foundations of music, and secondly, an emotional message. But music itself is not made of emotions. If relevant, which composer(s) have been the most influential regarding your own work? I always refer to the “great five”: Ravel, Debussy, Stravinsky, Prokofiev, and Gershwin as the most influential composers for me because I was absolutely crazy about their music during my childhood (I still am today). I hope to one day match the quality of their music. Since then a lot more have captured my attention, e.g. Boulez, Cage, Tchaikovsky, Dvorak, Poulenc, Hindemith, Brahms, Stockhausen, Mahler, Sibelius, Bàrtok, Britten, Honneger, Milhaud, Villa-Lobos, Ballif, Foss, Vaughan Williams, Ligeti, Berio, De Falla, Xenakis, Dusapin, Manoury, Messiaen, Carter, Ives, Fauré, Adams, Reich, Glass, Janàcèk, Shostakovitch, Lenot,… Recently, I would more specifically mention Henri Dutilleux and Morton Feldman. Amazing sounds and wonderful structure! And I have also to just quote the name of Frank Zappa, Olivier Greif and Philippe Hersant. Pure musical geniuses! Can you describe your working process, i.e. do you use computer notation software, if so, do you find that it inhibits your process at all, do you have a regular schedule for writing? I use a Tascam recorder and Audacity software for electroacoustic music, but that’s all. I try to prevent myself to rely too much on tools rather than my ears.